If you were to peel back the historical layers of Nashville, Tenn., the person at the core is very likely a woman named Lula Clay Naff. As a 30-year-old widow and mother, Naff moved to Nashville in 1904 from a small town called Fall Branch and took a job as a secretary at the newly named Ryman Auditorium (formerly the Union Gospel Tabernacle). Over the next 50 years, Naff accomplished what contemporaries with more money, education, land and voting rights, were failing to do: she brought people to Nashville. By bringing in live entertainment such as Charlie Chaplin, John Philip Sousa, Marian Anderson and the Grand Ole Opry, Naff transformed the Ryman Auditorium into a cultural beacon. The Ryman stoked a creative fire in the city that drew singers and song-writers from all over the South, then the rest of the country, and eventually the world. Lula Naff died in 1960, but her spirit lives on in the music and culture of Nashville. Most of all, you can find it in the women of Nashville who carry on this city’s epic musical tradition. Sarah Trahern grew up in Illinois, but in her childhood bedroom she transported herself to the pastures of Van Lear, Ky., belting Loretta Lynn songs into her hairbrush like all the famous stars she watched on the Country Music Awards. Today, Trahern runs the show: She’s been at the helm of the CMA’s 70-member board and charitable foundation as chief executive since 2013. It’s a remarkable vantage point. “I was driving home Saturday afternoon just feeling how lucky I am that I get to help spread the word of country music around the world,” she said recently. 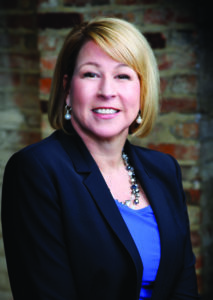 Trahern moved to Nashville for a job with TNN, and later attended graduate school at Vanderbilt University. She studied business, but her love of music kept her in town after graduation, and she found success in country music television. Today, her imperative is to expand country music’s international audience in far-flung places such as the U.K., Germany, Norway and Australia, where the music is growing in popularity thanks to the Internet and live event broadcasting. “We’re exporting the music and importing the tourists,” Trahern says. Under her leadership, the week-long CMA Fest, held in June, has become a flagship Nashville event, attracting visitors from all 50 states and tourists from 36 countries. I’M REALLY PROUD OF NASHVILLE BUSINESS, AND THE MUSIC BUSINESS IN PARTICULAR. 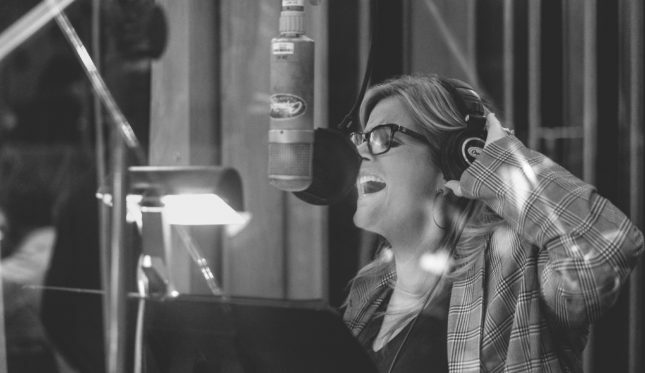 Nashville is one of the only cities where the songwriting is actually a (relatively) conventional business. Alexander, one of the city’s most successful songwriters, sits in an air-conditioned office building cranking out melodies, lyrics and, sometimes, fully formed songs. For people like her, the muse does not just randomly strike; it works 9 to 5. Alexander’s passion for music started early. When she was 10, her guitar and piano lessons blossomed into AC/DC and Led Zeppelin fandom. “I knew who Hank Williams was, all the outlaws,” she says. The craft of songwriting was a harder riddle to solve. Alexander grew obsessed with songwriters who had an economy of language. 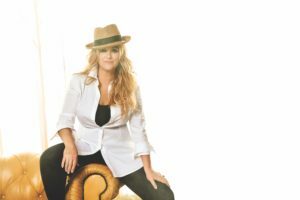 Songs by traditionalists like Harlan Howard, Bob McDill and Bobby Braddock drew her to the style of classic country. CeCe Winans’ voice has saved lives. She knows because people have told her so. “I’ve had great blessings in people saying they were going to commit suicide, heard my music and decided to give life another try,” Winans explains. Since her upbringing in Detroit, Winans always felt that she was put on this earth to sing. Now the best-selling gospel singer of all time, with 12 Grammy awards under her belt, Winans and her husband, Alvin, have lived and raised their family in Nashville since 1989. In 2008, the couple were considering moving to California to semi-retire in the warm weather there. Instead, they turned to a different calling. THE DIVERSITY HERE IS ONE OF THE MOST BEAUTIFUL THINGS ABOUT THIS CITY.